The Activities of the Electronics Club, an association of Electronics (BSc.) students of Christ University, for the Academic year 2014-15 were formally inaugurated on Friday, 18 July 2014 by Prof. Chandrabhas Narayan of Jawaharlal Nehru Centre for Advanced Scientific Research, (JNCASR) Bangalore. The inaugural function at Sky View, 10th floor, Central Block, started with an invocation song by Ms. Sahana of V semester CME and Ms. Apoorva Hegde of V semester PME, followed by the welcome speech by Prof. Benny Sebastian, Head of the Department of Electronics. Shaaz Ahmed of III semester PME presented an overview of the activities of the Electronics Club. 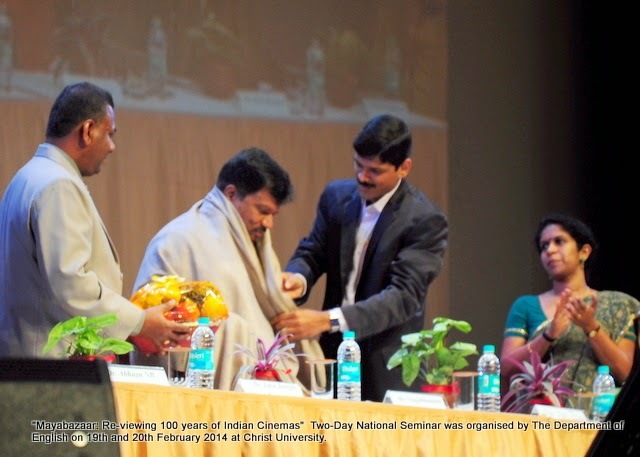 The inaugural address was given by Prof. Chandrabhas Narayan of JNCASR, Bangalore. He spoke on Career Options in the field of Science. With the help of power point presentation, he listed out various opportunities for the undergraduate students of Science. He explained in detail about the eligibility, Entrance exam schedules, incentives etc. He advised students to go for higher studies in their area of interest and also suggested them to work in the field of scientific research. All the students of B.Sc. PME and CME classes attended the inaugural function. 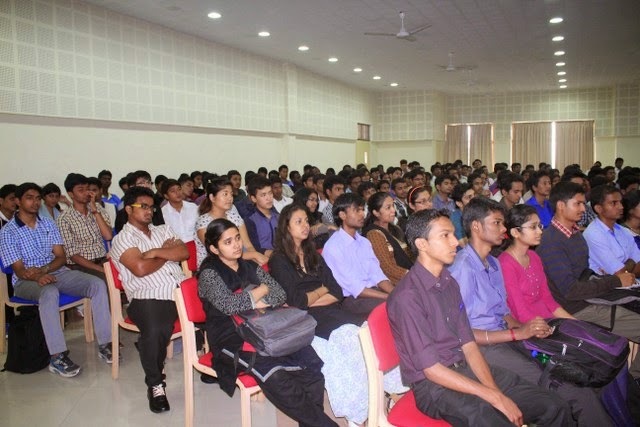 Students interacted with Prof. Chandrabhas during and after the programme. On behalf of Electronics Club, Ms. Rashmi of V semester CME, proposed vote of thanks. Kannada Sangha of Christ University is very instrumental in promoting and celebrating Kannada literature and culture in and out of campus. It published its 231st book "Varakavi D. R. Bendre Kaavyaartha Darshini" by Prof.Dr.B.B Rajapurohita. Dr. Geeta Vasanth, poet, writer and professor of Kannada, Tumkur University, reviewed the book. Reviewing the book she said, Bendre's poetry has the strength to mesmerize anyone. One definitely gets the "awe “relish, while reading his works especially his poetry. Bendre was a born genius, a natural aesthete, poetry was his passion and he lived it. She said, this book is written on two backgrounds: one on cultural motive and another in the linguistic motive. This technique helps us to understand Bendre better. Intensity in Bendre's language, emotion and sensibility can be compared to that of Allamprabhu. The flavor of folk is always there in Bendre's writings as he lived as a common man among common people. Hence, his proximity level to livelihood is very high. She added, Bendre was a seer and a philosopher. He was very spiritual and was highly influenced by certain traditions such as Natha parampare and Datta parampare. He always desired intoxication in poetry. Unification of sensibility is the aim of poetry and his writings are prime examples for it. As his works are suffused with folk and vernaculars, one should know about the socio-cultural, linguistic background of Hubli-Dharwar region to inhale the original fragrance of his poetry. While speaking after being honored Author Prof. Dr. B. B. Rajapurohita said that he had a very good connection with Christ University and he is happy that it continued. He spoke about his discipleship and family-friendship he had with D. R. Bendre. He said Bendre was a great human, a magical wordsmith, a great reader. His works are suffused with values, philosophy, spirituality, life experience and aesthetic sensibility along with his brilliant craftsmanship, extraordinary wit and legendary pun. He also mentioned about a few unique practices and hobbies of Bendre. Dr.B.B. Rajapurohit donated few of his books on grammar, linguistics, pragmatics and phonology to Christ University. Dr. K. P. Bhat, retd. Professor of Kannada gave the guest talk. He said Bendre was an eclectic, versatile scholar. He was highly influenced by Lakshmeesha and Kumaravyasa in his style of writing and in the use of language. Bendre before "Naadaleele" (his collection of poems) seemed to be different from the Bendre after "Naadaleele". He also said that Bendre is difficult to understand so people, who have not read and understood him properly, tend to criticize him. He also said “More and more works and research on Bendre and his literature should come out because the more you try to conquer him the more he remains to be conquered”. Chief Finance officer of Christ University, Fr. Dr. Varghese presided over the function. He called upon the students to develop sure taste and insisted them to develop the habit of reading and writing. 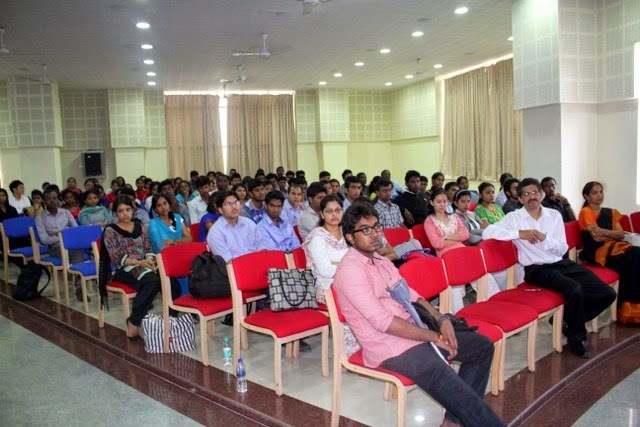 On 21st July 2014, the Investors Information Cell (IIC), a student body run by the students of MBA(FM), hosted the annual investor’s awareness camp, Finsquare 2014. Being an all-day event from 9am -5 pm, we were able to cover a wide range of topics to educate the average investors. These activities ranged from awareness in profitable investment avenues in the form of equities, real estate and insurance along with a detailed analysis of the Indian bond market. This time in addition to this, a customized financial plan was prepared for each investor who visited our stall. A budget analysis was also conducted along with a basic overview of E-filling. Since the visitors of the camp comprised mostly students, even the working of a virtual portfolio was demonstrated. In order to gauge the level of financial literacy on the campus, a financial survey was conducted with over 300 respondents. The camp was a huge success among students, faculty and corporates. 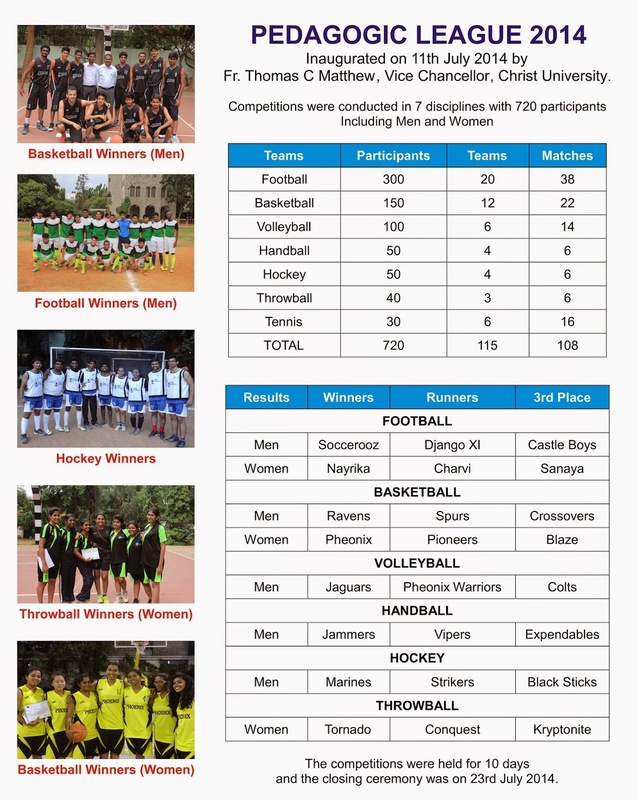 RESULTS - PEDAGOGIC LEAGUE 2014, Christ University. Mayabazaar: Re-viewing 100 years of Indian Cinemas helped participants explore and understand the emerging concerns, the potent areas of research and the varied perspectives that have entered Indian Film Studies. A three day workshop was conducted prior to the seminar by Prof. Indranil Bhattacharya from FTII. The seminar proceedings began with the formal inauguration followed by the keynote address by eminent Kannada film maker Mr. T.S. Nagabharana who questioned and problematized the use of the word Indian Cinemas and its representations. This was followed by the release of book of select papers. 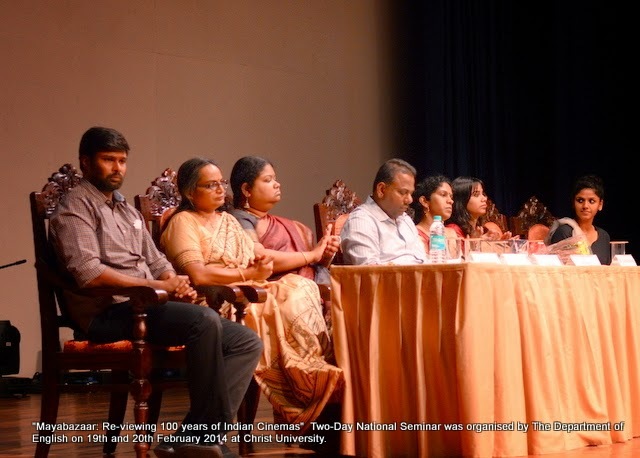 The panel discussion with scholars and veterans like Mr. S. Theodore Bhaskaran, Film Historian, Mr. C.S. Venkiteswaran, Film Critic and Documentary Film Maker, Ms. Bina Paul, Mr. Jaideep Varma, writer and Film Maker, and Mr. Gnani Shankaran, Writer indeed provided us with wonderful insights into the various domains of discussions. A documentary tracing the 100 years of Indian Cinemas done by the students was screened. This was followed by two invited talk sessions. “Iconic Narration in Indian Cinema” by Dr. Moinak Biswas and “Film on Film: Self-reflexive Modes in Indian Cinema by Prof. Indranil Bhattacharya. The second day began with 37 paper presentations in four different venues with internal and external moderators for each of the venues. Paper presentations included topics on multiplexes, stereotyping, archiving, screenplay, censorship, digitization, to name a few. A befitting close to the two day deliberations came to an end with the screening of Printed Rainbow followed by a talk by Ms. Gitanjali Rao. To say that the seminar has given us food for thought would underestimate the contributions made by our resource persons. In fact we were presented with a mise-en-scene of the 100 years of Indian Cinemas to now reflect upon. Christ University Language Association (CULA) has formed Bhasha Parishath, a forum to understand and propagate the salient features of Indian cultural heritage among the students and faculty. Though the department has been organizing institutional programmes like Bhasha Utsav, Sham-e-Ghazal and Multi-lingual Poets’ meet every year, student involvement in those programmes was limited. These programmes were by and large department initiatives and didn’t offer much scope for the creativity and imagination of all the students. Bhasha Parishath intends to address this issue to achieve the major purpose of offering proper cultural orientation to the students across the university. Around 60 students have volunteered to work for Bhasha Parishath through the year. Bhasha Parishath (BP) focuses on indigenous cultures of students irrespective of the region / country they come from. Each culture has its own paradigm with its legends, myths, beliefs and faiths. They are expressed through music and dance. BP will go much beyond these to trace the raison d’être of each phenomenon. One of the major activities of Bhasha Parishath will be the publication of ‘Bhasha News’ which will play a major role in achieving the goal of creating a ‘healthy cultural consciousness’ among the staff and students of Christ University. The Parishath was inaugurated on Friday, 18 July 2014 at 12.30 noon. In his welcome address Prof. P. Krishnaswami reiterated the importance of culture education without which the learning will be incomplete. He also outlined the activities of the Parishath focusing on the uniqueness of each culture, Indian and foreign and the need to understand them in this globalized world. Fr Vice Chancellor in his inaugural address lamented the shrinking space for the languages in the curriculum of higher education and explained the efforts made by Christ University to compensate for the loss. Pointing out the coming together of many great traditions from India and abroad in the Christ University campus, he appealed to the students to make use of the opportunity to interact with members from diverse cultures both formally and informally. Folk performance by Madhukumar and party from Ramanagaram followed the inauguration with due introduction to the art forms Thammatte, Puja Kunitha, Pata Kunitha and Somana Kunitha. 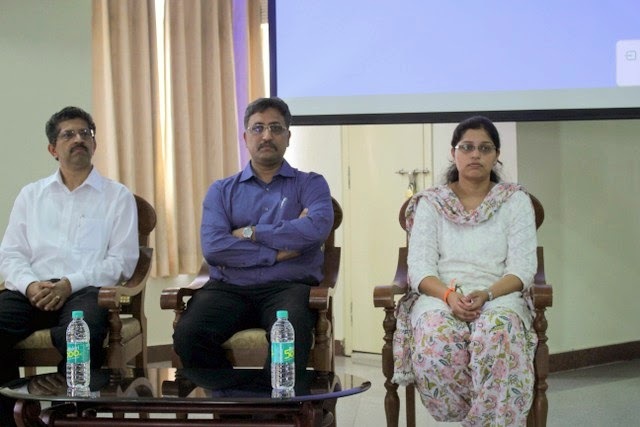 A REPORT - WORKSHOP ON “NURTURING ENTREPRENUERS"